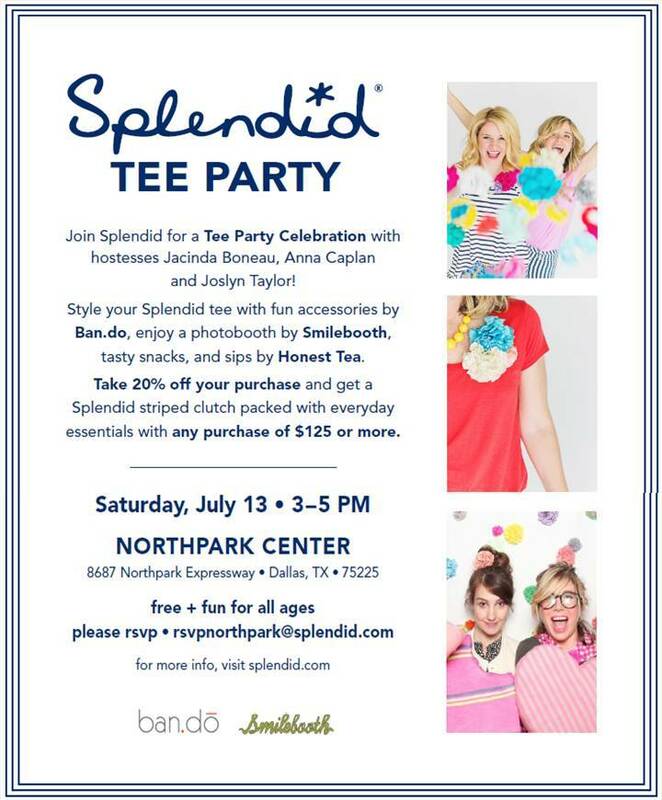 So speaking of mixing up work and play on the weekends, perhaps my Dallas friends out there would like to join me at the Splendid + ban.do store opening event this Saturday at NorthPark. 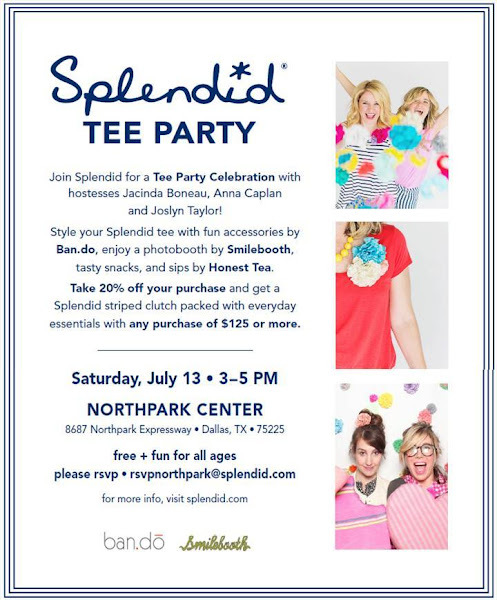 I'm co-hosting the afternoon Tee Party from 3-5 to celebrate LA-based lifestyle brand Splendid's killer new Dallas store (think: super soft togs from Splendid, Splendid Girls and Splendid Littles nestled among natural wood fixtures, a dreamy daybed. and a wall of live plants). Party guests will receive two pom poms from the ‘ban.do for Splendid’ pom pom bar, as well as a style guide for inspiration on how to style a Splendid tee with ban.do’s unique accessories. There will also be yummy sips + snacks and a Smilebooth photo booth where you can get your Vogue on. Bonus: Take 20% off of your entire purchase during the event and with any purchase of $125 or more, guests will receive a striped Splendid clutch filled with everyday essentials.